This quote from Chris Marker’s film Sans Soleil is the epigraph to Claudia Rankine’s Citizen. It’s an often overlooked epigraph that sets forward two important things about the much lauded book. First, it tells us the project of Citizen is to recast our understanding of our culture in a way that highlights how racism has seeped into so many aspects of our lives that our society has a tendency to simply overlook it or outright ignore it and, of course, therefore perpetuate it. The epigraph is from the first minute of Marker’s documentary and is not ostensibly about race or racism. He shows a clip of three blonde, white children walking in a field in Iceland. He shows a clip of an aircraft carrier. The narration tells us he can find no way to successfully pair the image of the children to any other image and so he will simply follow it with “black leader”, a stretch of film without any image at all. His point is to suggest that when we think we are seeing nothing, when we think there is absence, it is really only a failure on our part to make the appropriate connections, to really try to understand. And this is Rankine’s project too. She tells us about the media’s portrayal of tennis superstar Serena Williams and about a child not wanting to sit next to “you” on a plane. She tells us about a real estate agent enthusiastically proclaiming how she feels comfortable around “you” and how a waiter returns the bill to a white colleague, not thinking that “you” might have been the one to pay. To relate the story of soccer superstar Zinadine Zidane’s condemnation after lashing out in response to racial slurs, she quotes James Baldwin and Ralph Ellison and Frantz Fanon in order to suggest that very little has changed since the civil rights era, that still the only socially acceptable response to racism is to simply ignore it. And so, in Citizen, Rankine wants us to “see the black”, to understand the ways in which our society has made racism invisible, to literally pay attention to race and not pretend that we’ve overcome our bigotry. The epigraph also firmly places Citizen in the tradition of the essay. Marker’s Sans Soleil is widely regarded as one of the great film-essays and Rankine uses many of the film-essays’ techniques in her mission to make us see the abundance of racism in our everyday lives. She juxtaposes an image of a lynching with a memorial of Trayvon Martin and follows up an anecdote of a stranger avoiding her in a parking lot with Joseph Mallord William Turner’s painting The Slave Ship. She gives us the frame-by-frame film strip of Zidane’s onfield headbutt. But beyond the inclusion of images, Rankine cycles through essayistic forms in her writing, moving effortlessly from an almost journalistic account of the media’s biased treatment of Serena Williams to lyric vignettes of racist encounters in which the protagonist is “you”. She even includes “scripts for situation videos” that are both in the book as text, and on her website as short films. Citizen is the winner of numerous awards, including becoming the first ever book nominated for the National Book Critics Circle Award in both poetry and criticism. It won for poetry and certainly includes much brilliant criticism, but perhaps Citizen is most at home as an essay. In moving through these many different forms and mediums, the reader of Citizen experiences Rankine struggling to find the best way to make the invisible visible, to essay for a willfully ignorant society how much more we need to see and grow in order to overcome our long history of discrimination. 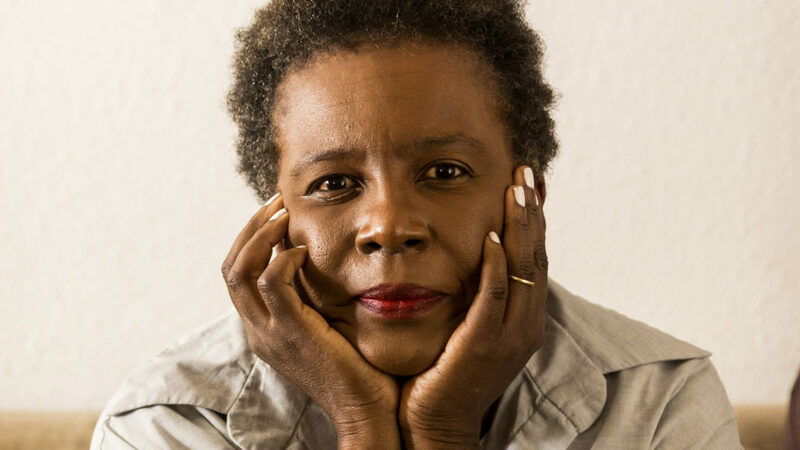 Claudia Rankine is the author of five collections of poetry: Citizen: An American Lyric (Graywolf Press, 2014), which received the 2014 National Book Critics Circle Award in Poetry; Don’t Let Me Be Lonely: An American Lyric (Graywolf Press, 2004); PLOT (Grove Press, 2001); The End of the Alphabet(Grove Press, 1998); and Nothing in Nature is Private (Cleveland State University Poetry Center, 1995), which received the Cleveland State Poetry Prize. In 2013, Rankine was elected a Chancellor of the Academy of American Poets. Her honors include the Jackson Poetry Prize, as well as fellowships from the Lannan Foundation and the National Endowments for the Arts. In 2005, Rankine was awarded the Academy Fellowship for distinguished poetic achievement by the Academy of American Poets. She is currently the Aerol Arnold Chair of English at the University of Southern California.